2. Login to https://crypto.tickets and open “Crowdsale” tab. Further instructions depend on the currency you are going to invest in. 2.1 From “Invest ethereum” section copy contract address. 3.1 Click on “Get address” in “Invest Bitcoin/ Litecoin/ Bitcoin cash” section. 3.2 Copy BTC/ LTC / BCH (BCC) address generated in invest fields. 3.3 Send your crypto currency to this address from any exchange or wallet. 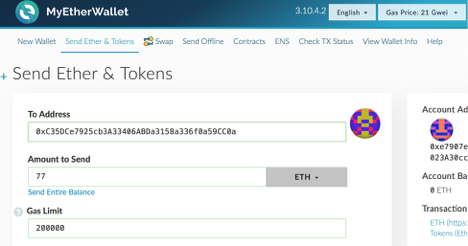 3.4 At “crowdsale” tab scroll down and enter your Ethereum account address. 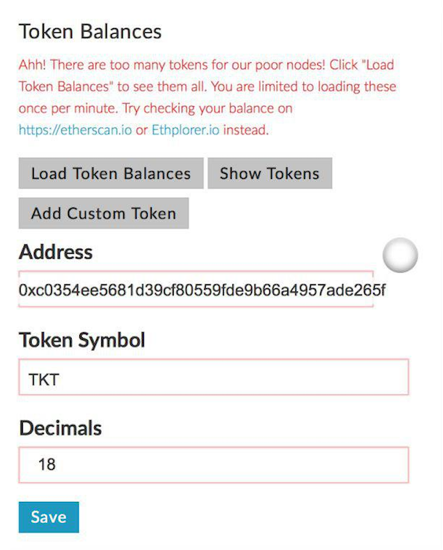 3.5 Your TKT balance will be shown in Main Balance and will be sent to your ERC20 comparable wallet Ether address you entered.